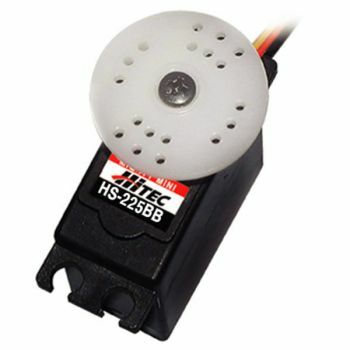 This is the HS-225BB Precision Mini Servo from Hitec. This version has the Universal S/Z/JR, Futaba J Connector. Connector is compatible with all modern receivers and wiring accessories. One HS-225BB Ball Bearing micro servo. Four screws, grommets, and eyelets.